Fender amplifiers are the American iconic amplifiers made in the 1950’s and used by players from Jeff Beck to the Beach Boys. The Tweed Covered Bassman & DeLuxe from the 1950’s are sought after and used in the studio and live for their special tone. One of the most iconic guitar amps was first designed for guitarist Hank Marvin when he complained his 15-watt Vox AC15 was too quiet in comparison to loud fans. 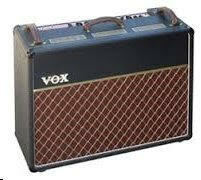 Thus, Vox created the 30-watt AC30 in 1958. Soon after, the amp was redesigned with three controls, each with two inputs, in addition to an optional Top Boost. 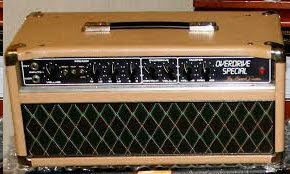 The Top Boost become so popular, it was soon standard for the AC30/6. It was used on many of the Beatle’s early recordings; and the Beatles were probably most instrumental in turning the world on Vox Amplifiers than any other artists, AC30 also used by guitarists like Tome Petty, Brian May. Some of the world’s most talented guitarists favored this very amp. Music legends such as Jimi Hendrix, Eric Clapton, and countless others. It’s biggest claim-to-fame was when Jimi Hendrix used it at Woodstock. The 1959 Super Lead has been one of the most iconic and pursued amps ever since. 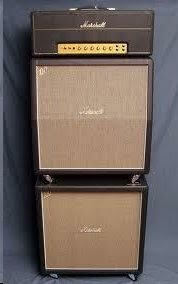 The mystery behind these amps continues as does the difficulty and wait time for the “common man” to obtain a Dumble . 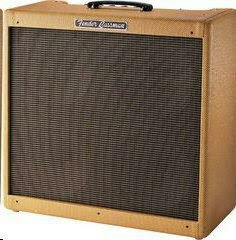 Dumble built amplifiers at the rate of about 2 or 3 per year, and primarily builds for celebrity musicians and studios. He asks similar prices to the used market rates in order to dissuade resale. Dumble would service and refurbish his original amplifiers for a fee, and many players will buy used Dumble amplifiers in order to have them refurbished by Dumble. Carlos Santana , Robben Ford and Ben Harper have both said that they bought their first Dumble used, and had Dumble refurbish the amp for their particular playing styles. Made popular by Carlos Santana in the early 1970’s was a California company that was run by two people owners, Randall & Raven Smith. 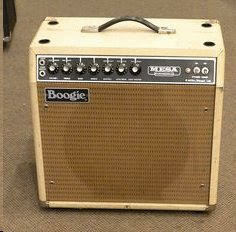 The first Boogie amplifiers were originally a type of a modified Fender amp on steroids with a one 12″ speaker self contained amplifier that sustained at very low volume levels , a powerful sound in a small package as well as was dependable on the road. Boogie eventually turned into Mesa/Boogie and since the late 1980’s and 1990’s they started making many more variaties using several tube configurations manufacturing amps like the Dual Rectifier and others , and decided to go in a bigger direction. Now their amp, the Dual Rectifier, is one of the most popular rock amps around the world. The amp’s anatomy gives a gain level unique for a powerful feeling. It is very popular in hard-rock groups and metal bands like Dream Theater, Metallica, Korn, Foo Fighters, and more. While there are many other amplifier companies, Like Supro, Gibson, Gretsch ,WEM (Watkins Electronic Company), Hi-Watt, Sound City, Selmer the above mentioned are the most popular and iconic. Are you looking to sell used amps or sell guitars in Chicago? Then contact Chicago Gold Gallery for top prices for your used instruments!